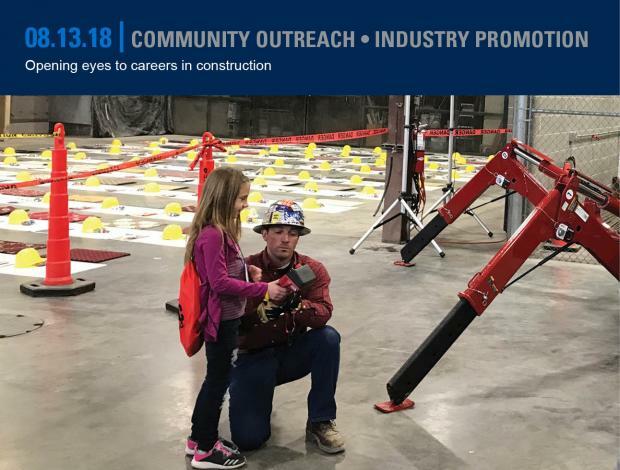 Fireman, baseball player, doctor — those are the professions that children often list when asked “what do you want to be when you grow up?” General foreman, project manager, or pipefitter are less likely professions to come to mind. However, for many kids, these jobs offer opportunities to join an industry that pays well, is always in demand, and offers an interesting and challenging work environment. Not only that, but for many jobs in construction, education can be obtained while they work and get paid. We are working to open more eyes to the opportunities in our industry, specifically for youth who are beginning to consider what life after high school looks like. All of our MMC Contractors offices partner with local schools and outreach programs to educate middle school and high school aged kids about the opportunities available to them.